Biore Blemish Clearing Scrub is a facial cleansing scrub that cleanses and exfoliates the skin. The scrub has been formulated with polishing beads to exfoliate and targets deep down dirt and oil that can cause blemishes without disturbing the skins natural moisture barrier. The power scrub seeks to improve skin condition within two days, leaving skin healthy and clean. Mandarin scented. I love the ingredients in this product and it not only smells great, but also feels so refreshing on the skin. I use this in the shower a few times a week and only need 1-2 pea sized amounts for my whole face. With any scrub, I would personally only recommend using it 2-3 times a week to ensure skin doesn't become too dry in the process. Always follow with a toner (possibly serum) and moisturiser. this is a really nice affordable face exfoliating scrub, it has an orange citrus scent to it and it leaves your skin feeling really soft, clean and fresh. it doesn’t feel too harsh or abrasive on my face and when used a couple of times a wee, it helped get rid of blackheads, although i didn’t see a big improvement in active blemishes. This exfoliant has an unusual scent but don’t let this deter you from giving it a try. For me this product was too harsh for my sensitive skin on my face and neck, however I have used it on my arms, backs of hands and legs and it works a treat when my skin feels dull and needs some attention. Its small granules are perfect for exfoliating the dead skin cells on my body (except my face and neck) to leave me with clear, smooth skin. I currently use this product every fortnight or so to revive my skin so that it glows again. A little bit of product goes a long way. I only need to squeeze about 5-7mm of product to cover each body part. I would recommend that you do a test patch on your face to check that it isn’t too harsh for you - especially if you have sensitive skin. Most but not all people. Pros: This scrub has really nice packaging and leaves my skin feeling soft, but only right after I use it. Cons: It's possible that I'm jumping the gun a bit here and haven't given this product enough time (I've been using it every day for a week now), but I am pretty disappointed with it at this point. The smell is very harsh and I don't find it pleasant at all. The micro-beads are really difficult to wash off, and after all the effort of washing and scrubbing them off, my skin ends up red and irritated. I've also begun to break out on my chin since using this, and my skin has become extremely dried out, despite me using an intensive moisturizer. My skin is normally dry, but this just makes it so much worse. Overall, I would not recommend for anyone with dry and/or sensitive skin. It will only make things worse for you. It might work fine for someone will normal or oily skin. I liked that scrub but I wished it had more 'bits' in it. It's very gentle when it comes to scrubbing and I would rather consider it a face wash and not a scrub. I would normally mix it with more potent scrub. On it's own is also very good, it reduces redness and prevents spots. You can also leave it for a bit as a mask. It does make your skin a bit dry because of the salicylic acid in it but that what helps prevent the spots. Must use with some moisturizer. 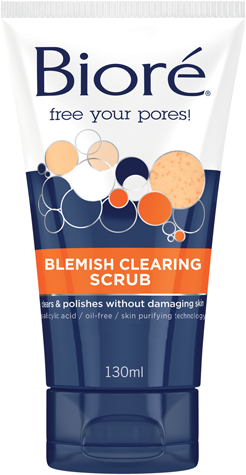 Biore blemish clearing scrub is a facial cleansing scrub that cleans and exfoliates the skin. It has polishing beads that help to remove dirt deep down and oil without changing the natural moisture barrier. When I used this I noticed a huge improvement to my skin been softer and looking more healthier. It has a nice mandarin scent that isn't too over powering. I recommend this scrub as it was gentle to use. The Biore Blemish Clearing Scrub has a lovely smell and thick consistency, with tiny beads that really exfoliate the skin deeply.  It does leave my skin a bit red after use, but my skin is quite sensitive to I expect that. I find that it calms and clears away my breakouts very well and leaves my skin feeling wonderfully smooth and soft, without dryness or much irritation at all. The Biore Blemish Clearing Scrub has a rather thick consistency. I find that this scrub is great for exfoliating my face, however, I do find the small beads very abrasive and would not regularly use this. I have found that this product is very good at tightening my pores and dries out any blemishes when used weekly, this has helped to reduce the amount of break outs and blemishes that I get. BIORE BLEMISH CLEARING SCRUB | Give it to the MR. The scrub comes in a convenient squeeze tube (big tick). It is bright orange in colour, and has a very strong citrus smell. The use of such a strong artificial colouring (and also a strong artificial fragrance in this case) is quite off-putting. I also found that the scrub particles are very big but also they are very "rounded" to actually do the job effectively. The scrubs that I normally like to use is more refined but also slightly more irregular in shape (e.g. grounded walnut shell / cranberry seeds, etc) as I found those to be less abrasive and more effective. The scrub gives the skin a cooling sensation and this is from the menthol added to the product. Personally I do not mind this too much and my skin does not have a problem with is, however I can see that people with sensitive skin may not like it. The positive is that the product rinses off very clean with no residue. Overall I think that this product is more suited for people who are younger, has oilier skin, or, guys. I gave this to my husband who absolutely enjoys it. Oily / Combination skin. Guys. I tried this after I read an interview where Demi Lovato said she was a fan of Biore products; this was years ago now. I went ahead and bought it and I was not disappointed. This stuff is great, the packaging has been redesigned a little now, or maybe it's just that I bought mine in England, but it worked wonders for my skin! My friends actually all commented on how clear it looked, I told them about it but we were young then and without jobs so we couldn't afford to buy it all the time. Now I am employed and love my Biore! Splash your face with warm water before applying to open up your pores so you can unclog them really well and after you've been rinsed, splash some cold water to seal them back up so that dirt won't go in them as easily. Many of the products that are for skins with blemishes assumes that my skin is oily and really oily but my skin isn't oily. I love the smell of this exfoliator. It smells very citrusy. The formulae is very drying on the skin. It overstrips the natural oils from my skin and my skin is left feeling uncomfortable and tight. Within a few minutes, my skin is flaking. This product does not suit my dry combination even though I have blemishes. I got this scrub in the Priceline skincare goody bag. I am not a fan of regular scrubs anymore but I decided to give it a go. The packaging is ok, the tube looks pretty. I had problems with opening the product under the shower ( sometimes openings are tricky). The formula is rather on the runnier side, with lots of orange and white scrubbing beads. Because of that runny formula I found that I used too much product in one go, as it was quite difficult to control the amount of the scrub coming out of the tube. The scrub is not too harsh, I believe it would be suitable for most skin types. There is indeed some cooling sensation when we keep the scrub on the face for longer. This product is ok, did not irritate my skin, I did not find any dry patches of skin after using this scrub either. To be honest I didn't notice any difference to the condition of my skin either, the blackheads are still there unfortunately. The skin however felt soft and smooth after this scrub. Can be used every day in my opinion. Use in on the whole body or at least on the back, I found it really good as a body scrub. I believe this scrub is good for every day use, as it helps to get rid of any traces of make up ( after micellar water and oil cleansing of course). if you want a good one or twice a week exfoliator than this is for you. the reason wouldn't recommend this product to everyone is that with sensitive skin it can leave it irritated if used to often. its good for leaving skin soft but remember less is more.the reason is it contains salicylic acid which is good for acne treatment but it is an acid so don't get this in your eyes or it will hurt. overall its an alright product I've used better but if your looking for a cheap product this is pretty much as good as you can get. Blemish clearing scrub. If your looking for a face clearing cleanser to use on a daily basis without harming your skin, this scrub is for you! Blemish clearing scrub. If your looking for a face clearing cleanser to use on a daily basis without harming your skin, this scrub is for you! It is super gentle on the face, the beads in this product are soothing and soft on the skin. Its super easy to use and it's prefect for sensitive skin. If you have blemishes you will see a huge difference within a few days. To use you simple squeeze a little amount of the product onto your fingers, ensuring your face is damp, and gentle massage onto your face.You can also use a cleansing brush also to get into the pores. It also remove make up, while also exfoliating away dry skin and dirt. I have forever been struggling with acne and no product has ever helped. I was recently recommended to try Biore so I picked up some and got this product in the recent Priceline Skincare Bag. It is actually a really lovely product. It does have Salicylic acid in it, so I would not recommend this product to someone with quite sensitive skin, AND I would also recommend not over using this product as it can increase your skins sensitivity. However, it does work for me. It is not the be all and end all of my acne, but it does help to clear up big red angry spots over a few days. I use this scrub 1-2 times a week and find that the worst of my spots clear up within 2-3 days. It does not get rid of everything, but it helps a little bit. The scrub itself is quite gentle, the grains aren't coarse so its perfect for the face. I didn't find it to be drying, and it did leave my skin feeling soft and cleansed as well. When I use it I apply a small amount (you seriously do not need much) and massage it into the skin, leaving for a minute or two before rinsing. It can get a little tingly, so if the tingle becomes too much to bear make sure you remove the product immediately. I find the tingle to be strange, but not uncomfortable and is generally bearable for a minute or two. Only use a small amount, you don't need much. The packaging is really easy to use and I often find that I squeeze too much out. If you can, leave on for a minute or two to let the product sink into your skin a little bit. Acne/Blemish prone skin, it does help to clear big angry red spots up. This cleanser is peachy in colour, smells nice just like mandarins. It had small beads in it that you can feel on your skin when washing. The formula contains BHA salicylic acid that is known to penetrate deep for better pore cleansing. It is used to clear and prevent pimples form forming. The only thing, this acid can dry skin out a bit if used for longer time and too often. My skin is combo with large pores that tend to get clogged easy. Have been using this wash daily, and would not recommend this. Why? My skin became so sensitive that was red and dry, with little bumps on the skin appearing. Note to self: more is NOT better. Why did I use it daily? Because it was leaving the skin so smooth and soft, that I continued daily use until my skin went mad. If having sensitive skin like mine, use this scrub gently once, tops twice per week. Follow with good moisturizer straight after. Love the citrus fragrance !!! I have mature skin so I use a facial scrub at most, twice a week. I believe it is necessary to scrub away the dead topmost layer of the skin now and then, in order to allow the new cells beneath to grow. It is also a good way of smoothing my skin and concentrating on the large pores on my nose that regularly gets congested. Biore Blemish Clearing Scrub which comes in wide plastic tube with a blue flip top lid and contains 130ml of product, is a favourite of mine to use because I like its citrus fragrance. The product is a thick fluid gel in which are suspended numerous orange and white polishing beads. I wet my face, put a small blob of the product on the back of my hand before transferring it to my face with my fingers. Then I use small circular movements with the pads of my fingers to gently spread the scrub around my face. I spend a wee bit more time on my nose. Apart from the delightful fragrance, I like how the scrub develops into a creamy white foam containing the particles which makes the particles easier to spread around the face. It leaves my skin feeling smooth, awake and alive because it imparts “a zing”. I honestly don't know how to describe this but users of this product would get my meaning. LOL !!! I don't find this scrub “harsh” to use because it is important to avoid vigorous scrubbing. After all, our skin is a delicate and should be treated as such. I like this product and would definitely purchase it again. My skin always looks clearer and feels, clean, fresh and alive after using it !!! Pretty good exfoliator/scrub to help remove dead skin cell build, congestion, soften blackheads and whiteheads, making it easy to remove.Have a rejuvenated, revitalised complexion afterwards! I really like Biore, but I'm disappointed with this product. It just didn't work as well as I expected it, too. In fact, sometimes I wonder if it isn't making my acne worse. I find myself looking in the mirror wondering if it is helping at all. It's work to rinse it off my skin, and my skin doesn't feel as clean as I'd like it, too. Also, the beads in it seem unnecessarily rough. Washing my face with it is almost uncomfortable. Finally, the scent a bit weird. But the package is lovely, and I like the way the orange wash looks. Thank you for taking the time to give us feedback on the Bioré Blemish Clearing Scrub. Please give our Bioré Customer Care team a call (1800 468 318) so we can learn more about your experience and gain a better understanding of how you have used the product. Stop those pesky pimples from cramping your summer style!